Who doesn’t want a yard with a small pond in which to grow lilies? But when you like in an apartment building this dream seems impossible! Well, not really. 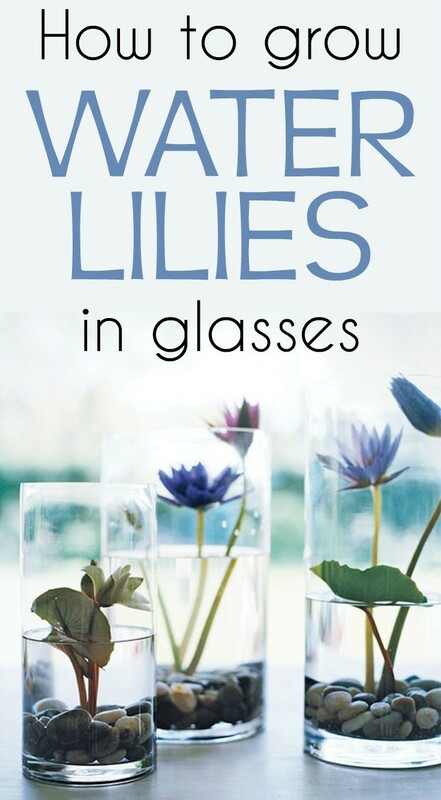 You can grow lilies in glass jars! See how easy it is. Put the sponge (or the holder for floral arrangements) in the glass. Cut the water lily’s tail in the proper size and stick it in the holder. If you have a large glass, you can add more water lilies. Cover the holder with small river stones so you can not see it through the glass. Add the water. This must partially cover the leaves, but make sure the flowers remain on the water surface. Make sure that the water lilies have always about the same water level.